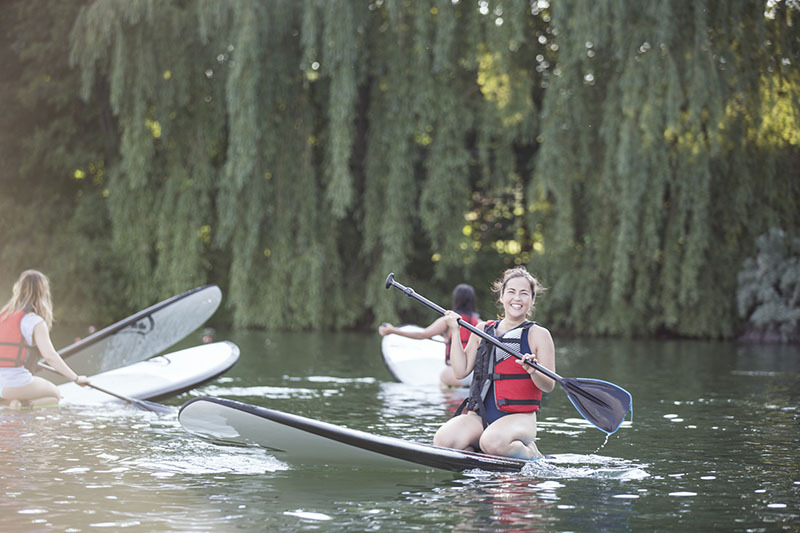 Stand up paddle-boarding (SUP), which consists of paddling while standing up on a big surfboard, is a sport that gives you a full body workout. 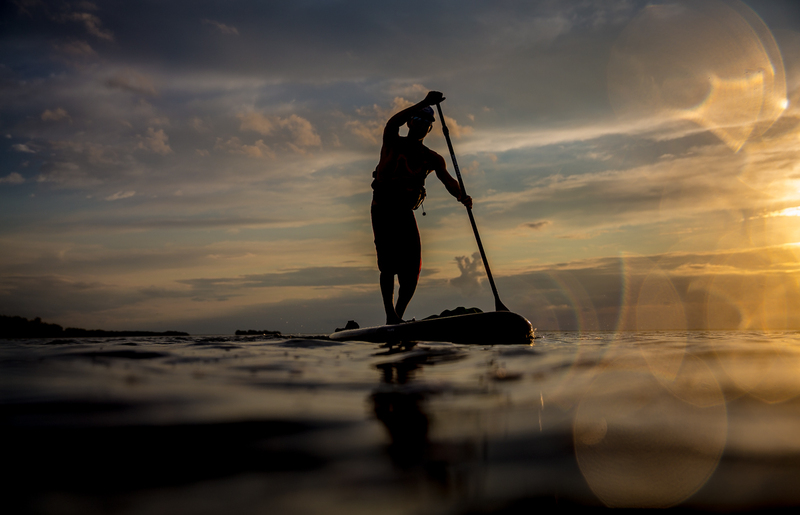 On flat water, in white water, or at sea, everyone can enjoy this sport. We can surf, go on excursions, do yoga or workouts, fish, and much more. KSF is the pioneer of SUP in Quebec and has become a quality reference for SUP teaching. We offer a diverse program of courses and excursions that will please both beginner and advanced level participant. Prerequisites: Be confident in water. Participant must be 12 years old minimum; children between the age of 12 and 16 must be accompanied by an adult. 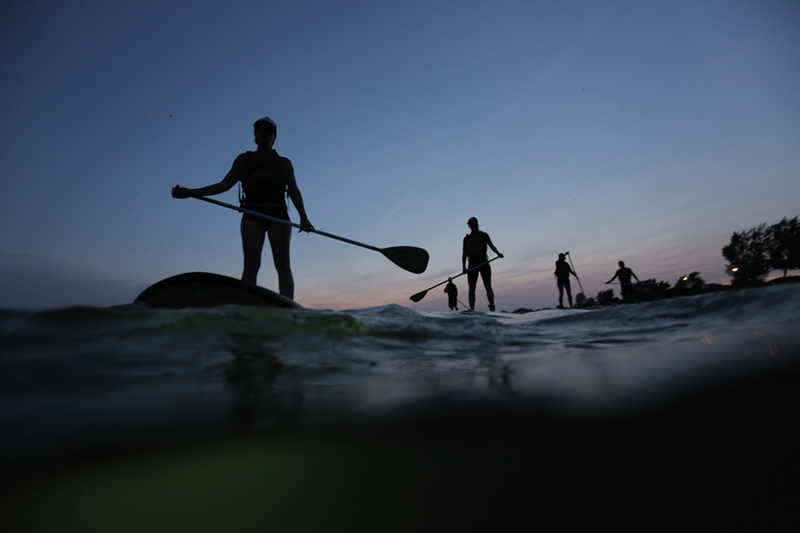 This SUP course is definitely our most popular one. It starts with an introduction of 2 hours and ends with a down river trip of 2 kilometers on Saint Lawrence River. While letting yourself be guided by the current, you will have the opportunity to put into practice your newly acquired skills and have a taste of white water thrills when paddling down the small Bunny Wave’s rapid. This guided tour of 12 kilometers on Saint Lawrence River will let you explore a different section of the Route Bleue. During this excursion, you will discover the beauty of our river, a blend between nature and Montreal’s urban landscapes. At the beginning of our journey, we will go around an untamed island and glide under Mercier Bridge. The adventure will then finish with paddling the Bunny’s Wave rapid. . An activity that will enchant you. This excursion will also be offered on full moon nights or during memorable sunsets. Unforgettable experience, safe, and supervised by a professional guide. *The itinerary can vary depending on the weather. Prerequisites: Have previously taken a SUP course or equivalent experience. Participant must be 12 years old minimum; children between the age of 12 and 16 must be accompanied by an adult. Discover an impressive section of Saint Lawrence River. 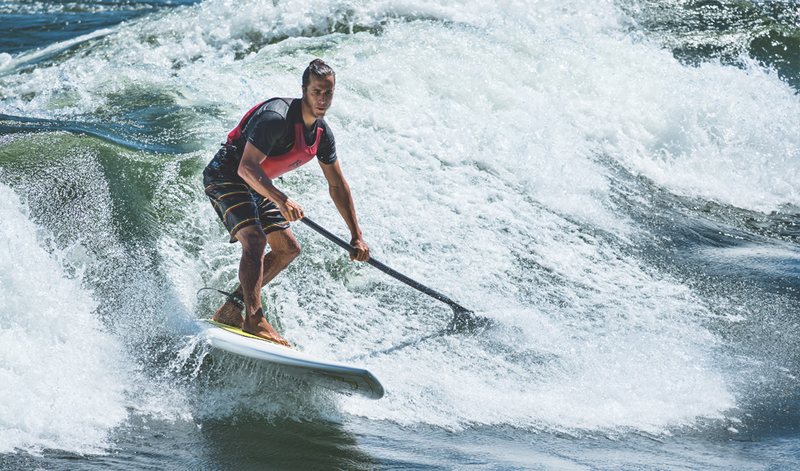 During this trip, you will learn the basic white water SUP techniques and how to navigate the rapids and currents downstream of Lachine Rapids in the La Prairie Basin area. You will land on Rock Island, an untamed island which is, like the other surrounding islets, a refuge for migratory birds. 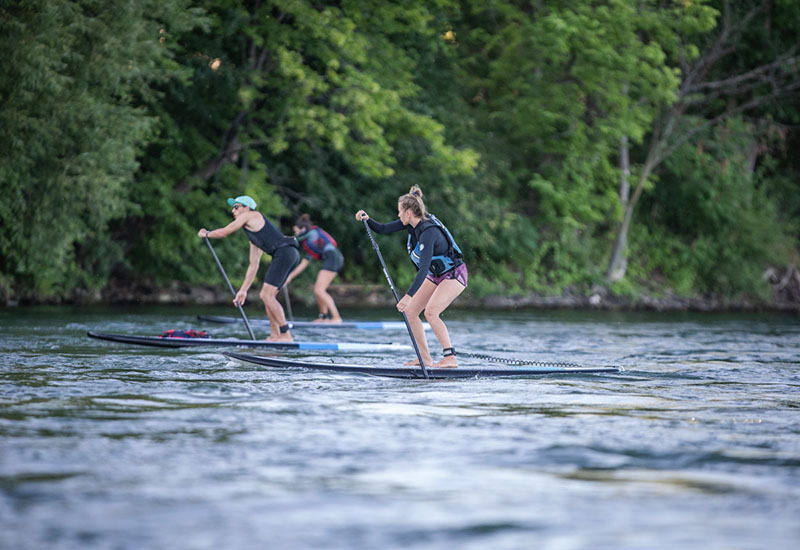 Besides giving you the opportunity to explore this new place still unknown to SUP paddlers, this course is a prerequisite for being able to rent SUP boards at rental shop in Verdun. We offer different level courses of SUP surfing. They are intended for small groups and take place on different waves according to the participants’ level. Offered on request. Contact us for more details. Prerequisites: Have practiced SUP many times and be confident in white water. Having completed a river surfing course is recommended. Participant must be 16 years old minimum.